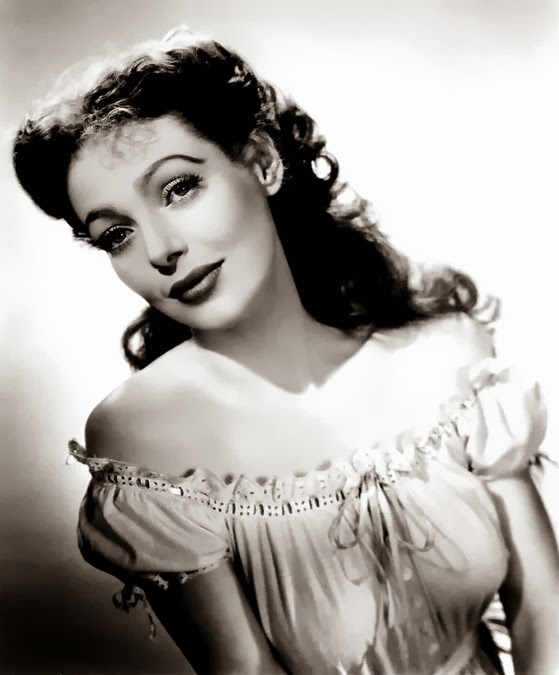 I've admired actress Loretta Young since I first fell in love with classic movies as a child, and I treasure the memory of seeing her in person at a tribute at the Filmex festival in 1981. Over the years I've reviewed over three dozen Loretta Young films here, which I strongly suspect is the record for any actress. 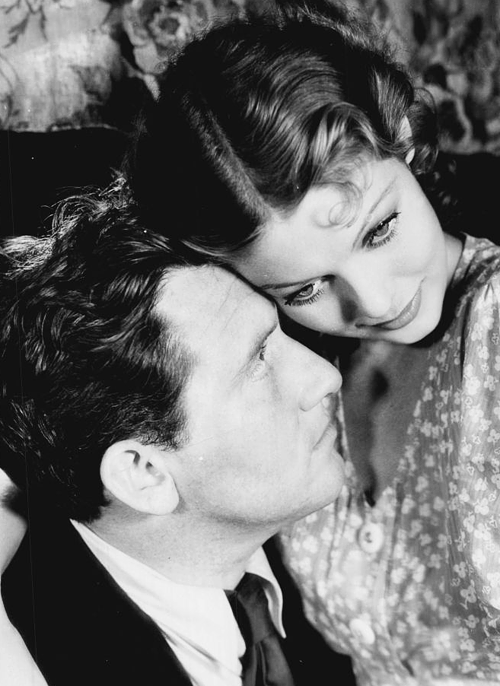 I'm thus especially happy to announce that I'll be on the press list to cover a very special event this coming Thursday evening, the Loretta Young Centennial Birthday Tribute. The tribute will take place on January 30th at 8:00 p.m. at the Alex Theatre in Glendale, which is located at 216 North Brand Boulevard. 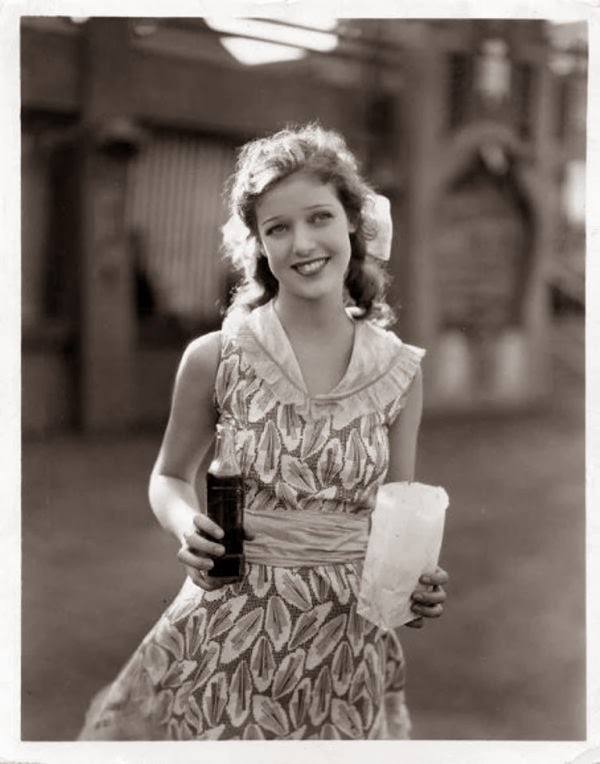 Loretta Young was born in Salt Lake City on January 6, 1913, and Thursday's tribute is the culmination of a busy year of events celebrating her centennial. I had the pleasure of speaking at some length today with Loretta's daughter-in-law, Linda Lewis, who is married to Loretta's son Christopher. As we spoke, Chris and Linda were in the midst of a cross-country drive, transporting special memorabilia to California for the program; among the items that will be on display that evening are Loretta's Oscar and Emmy. Linda was very gracious in sharing her time and memories of her beloved mother-in-law, as well as details about Thursday's tribute. Linda said that the goal of the evening is "honor Loretta's 100th birthday and try to reintroduce her, especially to younger viewers." She hopes to communicate the breadth of Loretta's 77-year career, which began when she was an extra in silent films at four years old, moved seamlessly into the sound era, and then on to television. Linda said that her mother-in-law was quick to grasp the importance of the new medium of television, realizing she could reach more viewers in a single TV episode than one of her films would reach during its entire run. She described Loretta as a "pioneering spirit" who "took risks" which helped to pave the way for women who followed her in the industry. She fought studio heads, sometimes at great price. When Loretta went into television, she was told she would be done in films, but she forged ahead anyway. As the star of the highly successful, long-running LORETTA YOUNG SHOW, she was responsible for finding stories and having them adapted, casting, editing, and of course acting -- all while raising a family, with a busy social life and a lifelong commitment to charitable causes and her diocese. One of the most interesting and touching things Linda shared with me was that "If I knew then what I know now, I would have asked her so many more questions!" She said she's learned a great deal about her mother-in-law's career since she passed on in 2000, thanks to sources such as the internet and Turner Classic Movies. 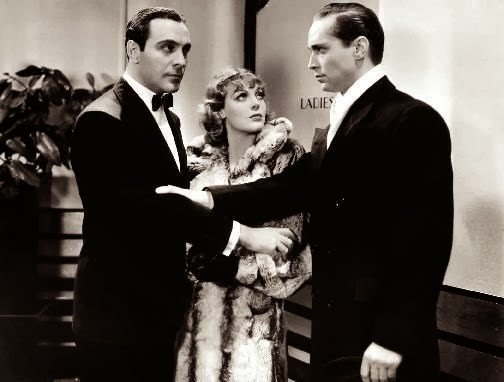 She's especially interested in her pre-Code work, films which weren't widely available years ago but which have provided "a new perspective" on Loretta's career for many of us, Linda included. She also mentioned how remarkable it was that in the early stages of Loretta's career she would make as many as eight or so films a year, having to keep straight the details of so many characters, lines, and stories in such a compressed time frame. She said, "The conversations we would have now...!" Loretta Young fans may also be interested to know that Linda maintains an Official Loretta Young Facebook Page where she shares beautiful photos, and there is also an official website. I've also been quite interested to learn there is a TV-movie about Loretta's life currently in pre-production. This Thursday evening's tribute will be a mix of movie clips and trailers, photos, and conversations with those who knew Loretta, plus two actresses will appear in a series of reenactments of five key moments in Loretta's life, including her taking a fateful phone call from director Mervyn LeRoy, who was looking for one of Loretta's older actress sisters, and asking "Will I do?" The evening will be hosted by Bryan Cooper of Hollywood Heritage and Stan Taffel. Among those slated to attend are Kim Darby, Kathleen Hughes, Johnny Crawford, H.M. Wynant, director Randal Kleiser, and Joel Brokaw, the son of Loretta's longtime agent Norman Brokaw of the William Morris Agency. 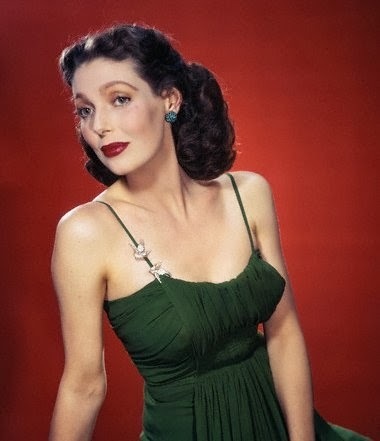 Several actresses who played Loretta's daughters on the THE NEW LORETTA YOUNG SHOW (1962-63), including Beverly Washburn, are also scheduled to attend. Loretta's godchildren, Patrick Wayne and Marlo Thomas, are tentatively scheduled but not yet confirmed to appear. Some members of Loretta's extended family will also be in attendance sharing their memories. 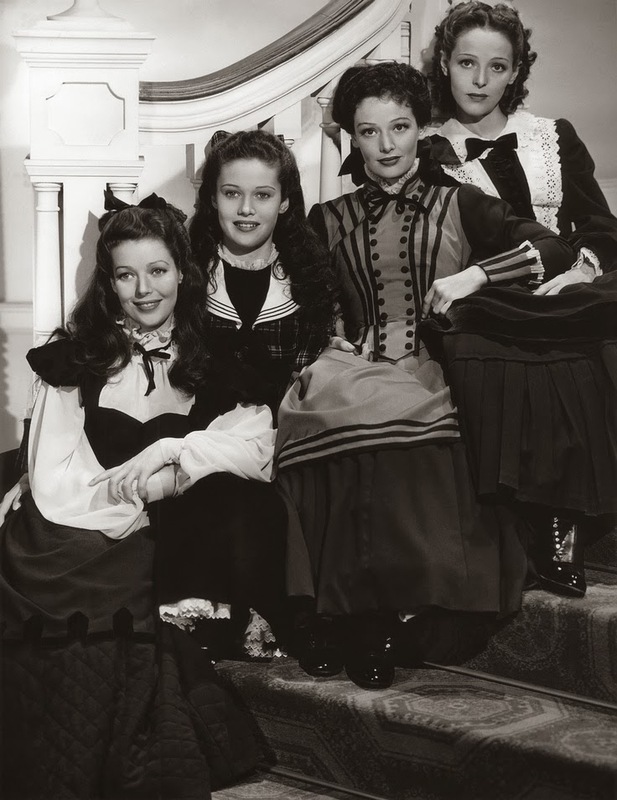 Loretta is pictured here in THE STORY OF ALEXANDER GRAHAM BELL (1939) with her sisters Georgiana Young (who later married Ricardo Montalban), Polly Ann Young, and Sally Blane (who was born Elizabeth Jane Young; she later married actor-director Norman Foster). The evening will also include the introduction of the young woman who received "The Loretta Young Innovative Women in Film” award at the Eureka Springs Indie Film Fest which took place over the last few days. It seems very appropriate indeed that part of Loretta's legacy is to encourage women filmmakers. For more information, there's a video about the tribute, and all the ticket details are available at the Alex Theatre website. A special note to any readers who work for Los Angeles area Catholic charities and organizations, including St. Anne's Home, a charity Loretta long supported: Complimentary tickets are available in recognition of Loretta Young's lifelong support of these organizations. Call (818) 480-3270 for more information. 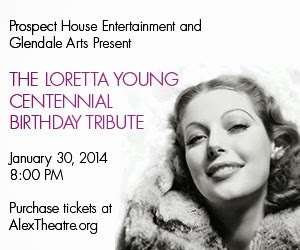 This Thursday night should be a grand evening for classic film fans in general and Loretta Young fans in particular! Update: Here's my account of a wonderful evening: The Loretta Young Centennial Birthday Tribute. Sounds like a great event, so glad you are attending. Enjoyed your interview, and looking forward to your post on the tribute. 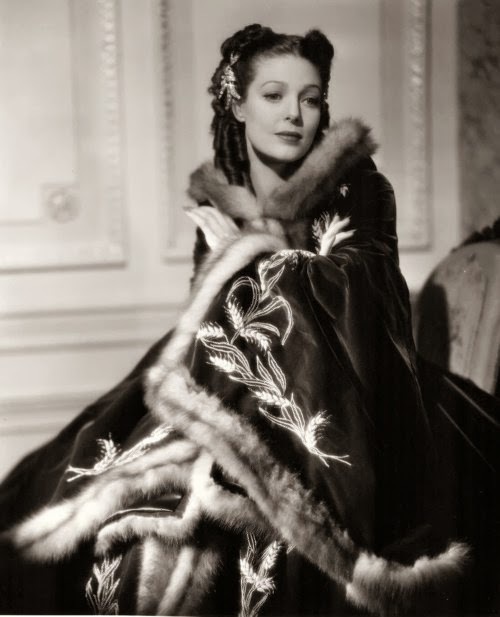 Re Loretta Young. There is an online Legacy site for Judy Lewis with more than one hundred comments. Collectively, they are most interesting.